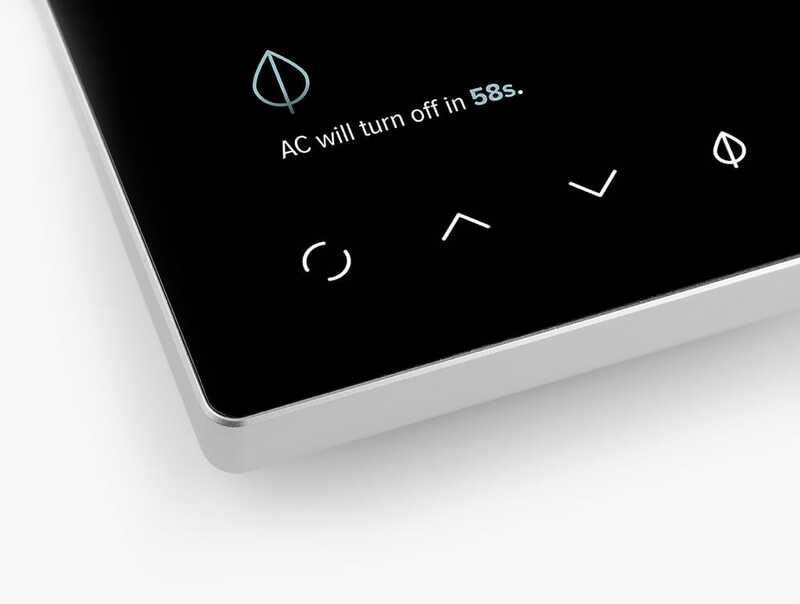 the world’s first smart commercial thermostat. 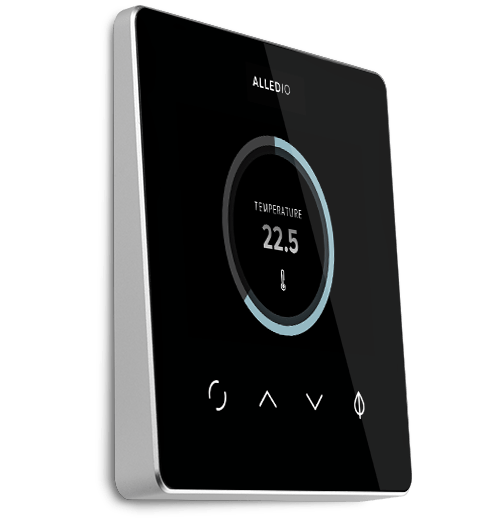 While smart thermostats are common within the home, commercial buildings have been completely forgotten. Alledio optimizes for smart energy savings. Understands behaviour. Works around human irrationality. Monitors occupancy and enables adaptive energy management. Comfort first. Energy savings first. Alledio manages temperature & fan speed. 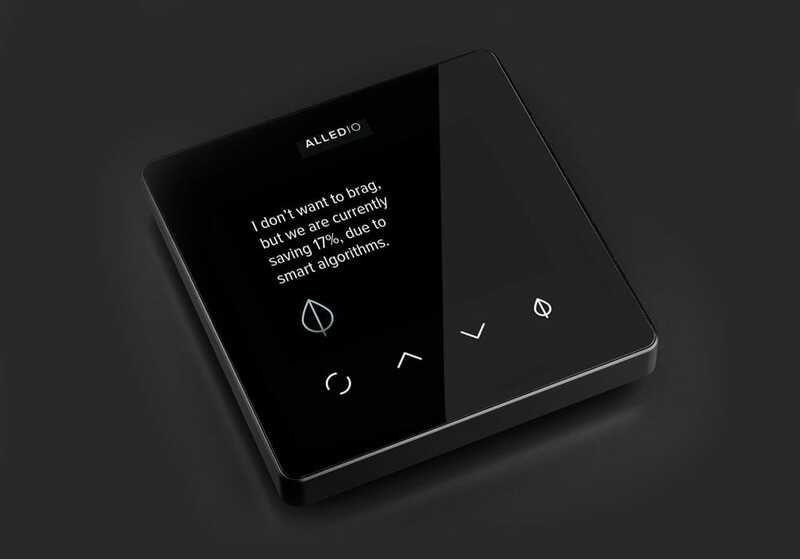 It monitors humidity, presence and can also watch over air quality and CO2. The most important thing? It doesn’t compromise on comfort while optimizing for energy savings. It simply auto-adapts to the building & the environment. Engineered with great care for the tiniest details. 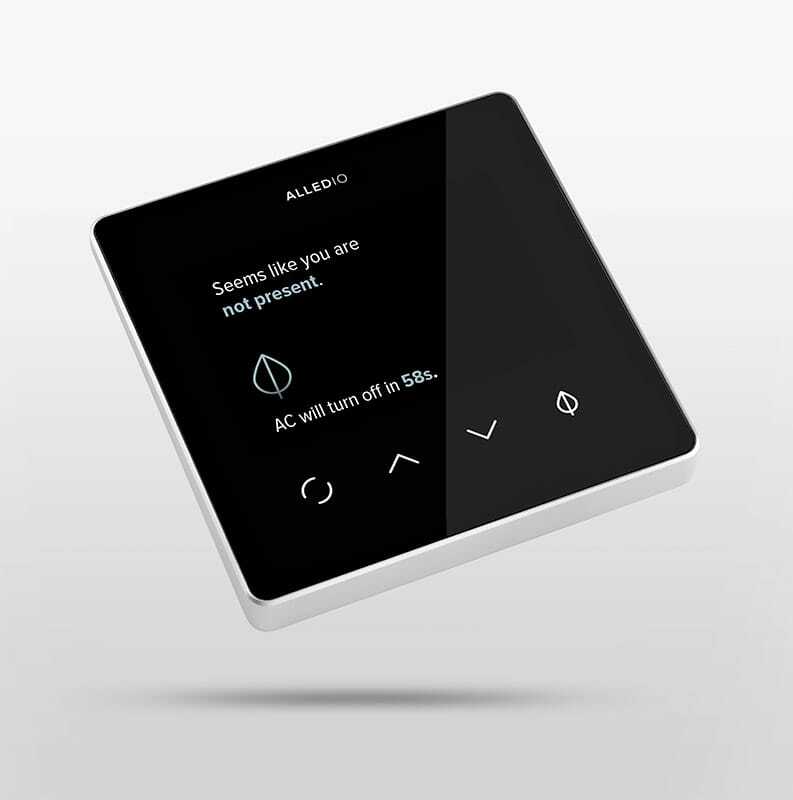 Alledio is the thinnest smart commercial thermostat in the World. 0,5 inch of magic. That’s it. It’s more important to provide a comfortable atmosphere than obsessing over a certain temperature. In short: We care more about how it feels, than how it is. Control temperature & fan speed. And allow Alledio to optimize for dozens of savings. Understanding the physics of human well-being. The comfort zone is a zone for a reason. 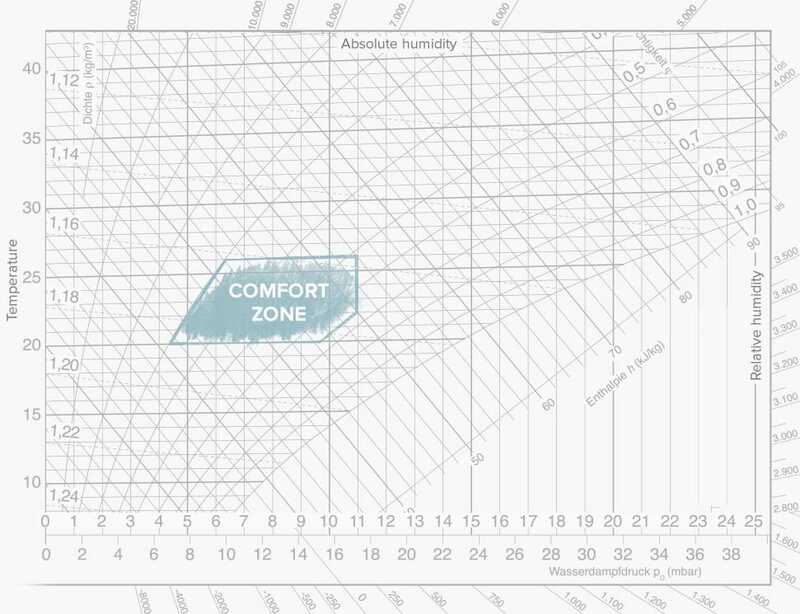 Understanding the relationship between temperature and humidity allows Alledio to perform subtle energy optimisations; without compromising on comfort. Perfect for retrofit and new construction projects. Through the Alledio Web API your applications can retrieve and manage Alledio datapoints. Extend your platform by integrating Alledio’s open API and connect with like-minded developers to share ideas and solutions. Coming soon! All thermostat. One platform. Quick and easy energy management. 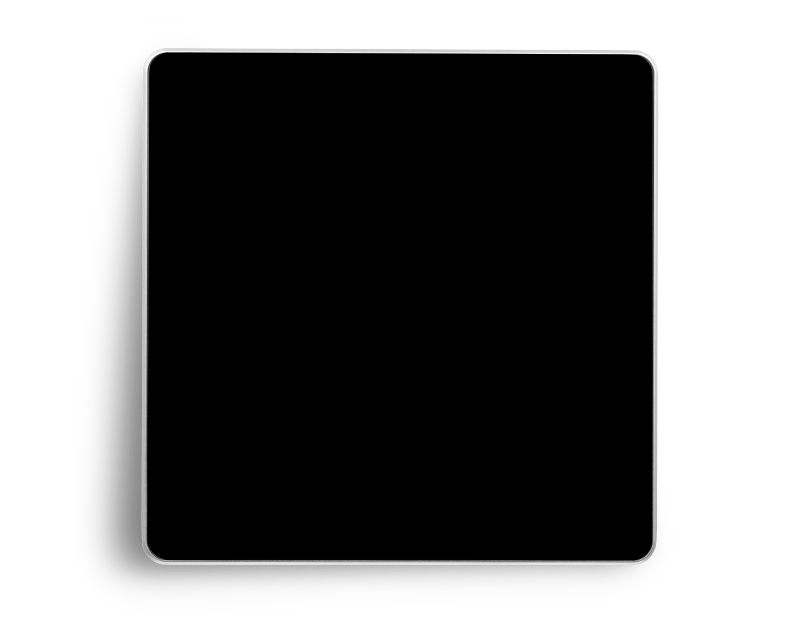 So simple, anyone can use it. So efficient, everyone will. With a simple platform you are able to control & monitor the energy consumed. See monthly energy reports & get tips on how to improve it.